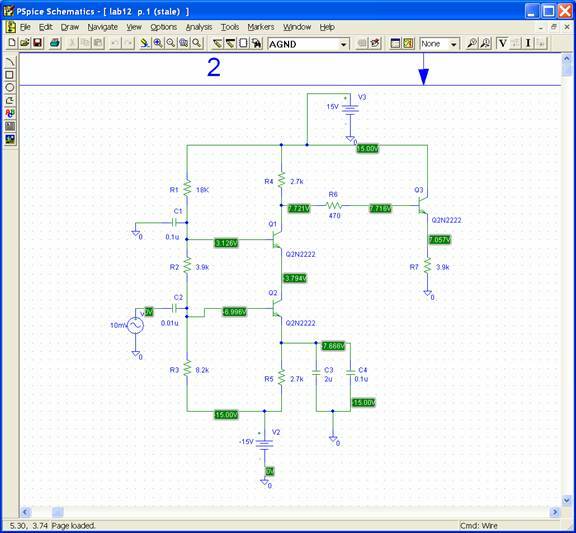 Spice is a program developed by the EE Department at the University of California at Berkeley for computer simulation of analog circuits. In its original form you tell Spice what elements are in the circuit (resistors, capacitors, etc. 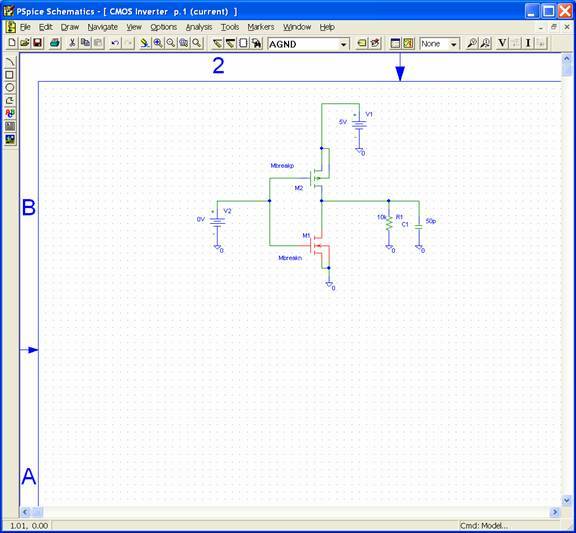 ), and then enter the circuit diagram as an ASCII file showing what nodes each element is connected to. Every node is assigned a number, and there is always a ground node, which is Number 0. 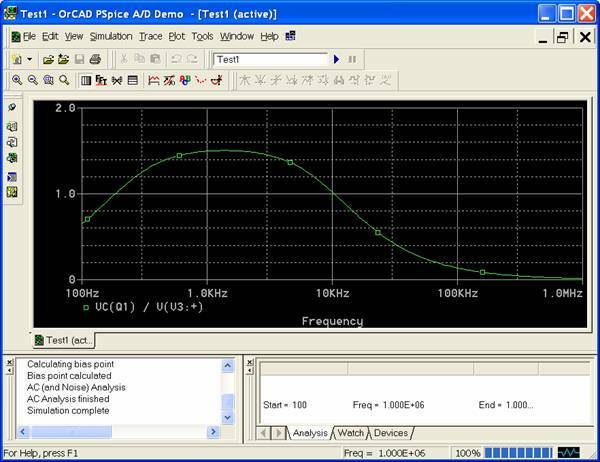 You then tell Spice what information you want -- bias conditions, frequency response, and/or transient response. 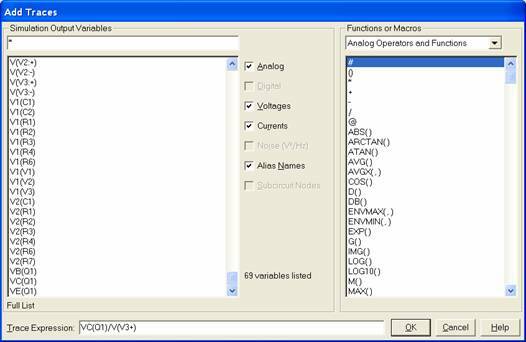 Spice does the circuit analysis and puts out an ASCII file with the information. 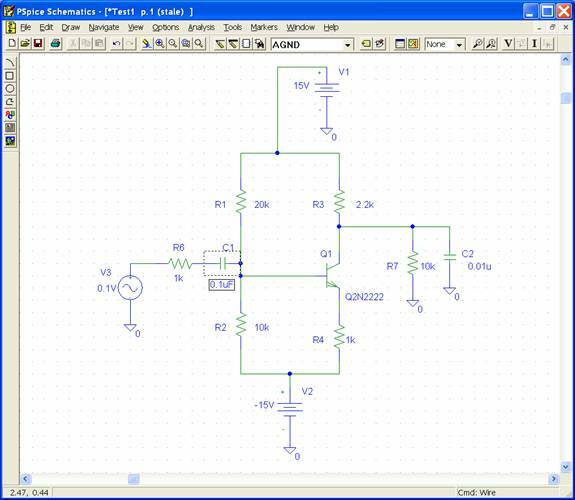 Using Spice is not very intuitive to use because the input is an ASCII file rather than a circuit diagram, and the output is another ASCII file rather than a graph. 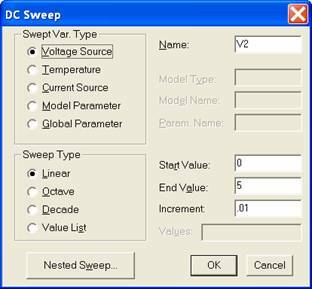 Several companies have developed graphical user interfaces for Spice, which make it much easier to use. One of the most popular is PSpice. 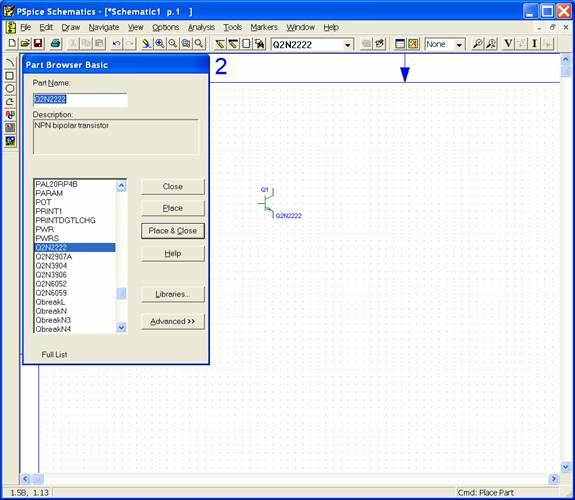 PSpice provides a free student version of its program which can be downloaded from www.pspice.com. Be sure to save the file, then go to Analysis – Setup. Here you will tell PSpice what you want it to do. Always select Bias Point Detail. 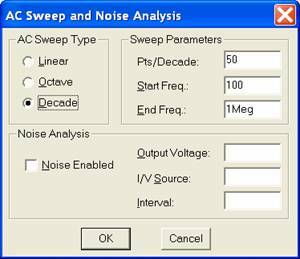 In this case we will also select AC Sweep which will give the frequency response of the circuit. 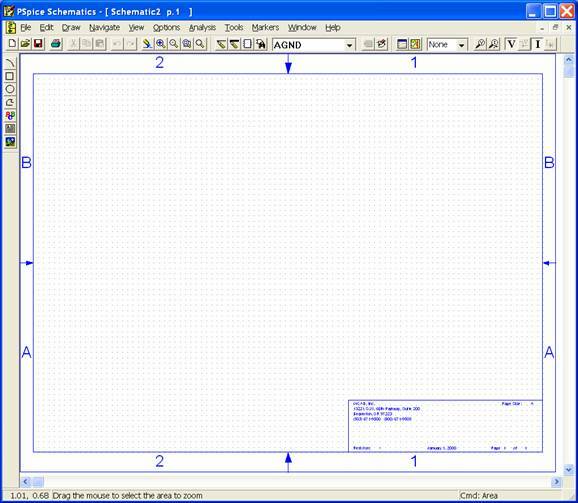 In this window choose Trace – Add Trace. Since we’re interested in the gain of the circuit, we want to plot the output voltage divided by the input voltage. The output voltage is the voltage at the collector of Q1, and the input voltage is the voltage at the + terminal of V3, so we plot VC(Q1)/V(V3+). 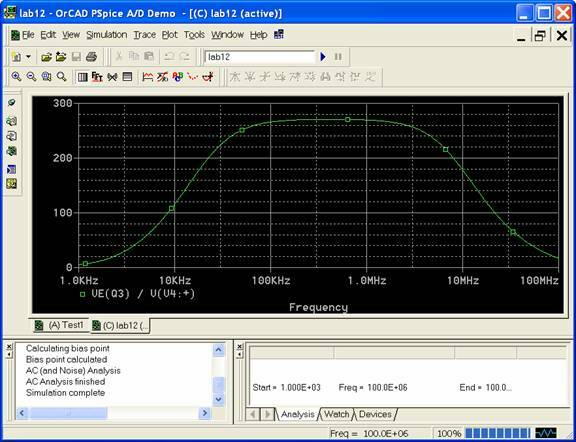 We see the circuit has a gain of about 1.5 at a frequency of 1 kHz. 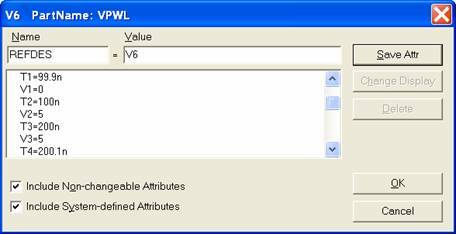 The theoretical value is about (RL || RC)/RE, or 1.8. This is the type of file Spice needs – it shows that Q1 is a 2N2222 transistor, and its collector is connected to Node 2, its base to Node 1, and its emitter to Node 3. The standard Spice model assumes the 2N2222 has a b of 255.9. 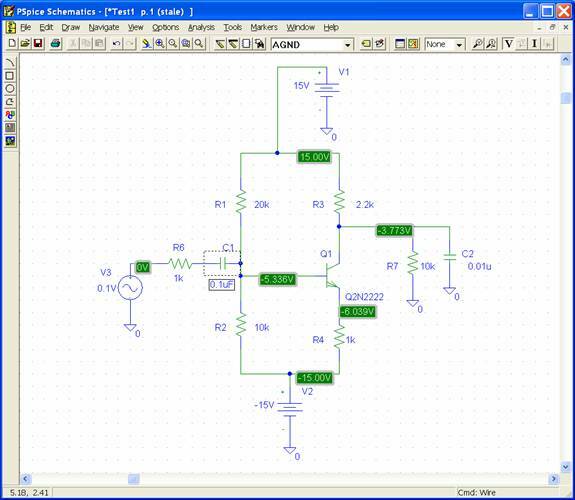 You can edit the transistor model if you want to use a different value of b.
kn’ = 100 mA/V2, Vt = 1.5 V, L = 1.5 mm, and W = 2 mm. Do the same for the PMOS transistor. and we have the voltage transfer function for the inverter. 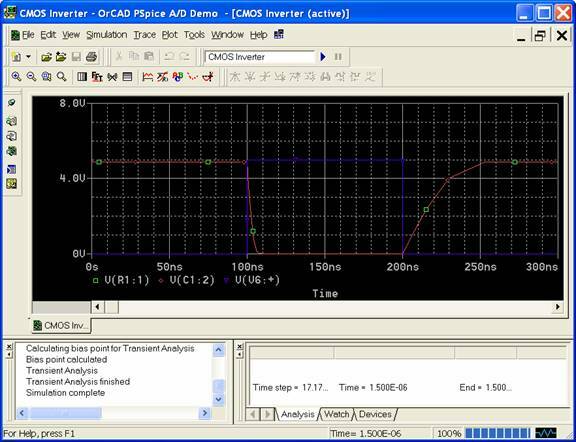 and we can see the rise and fall times of the CMOS inverter.